Brady Park is at Lake Shore Drive and Front Street. 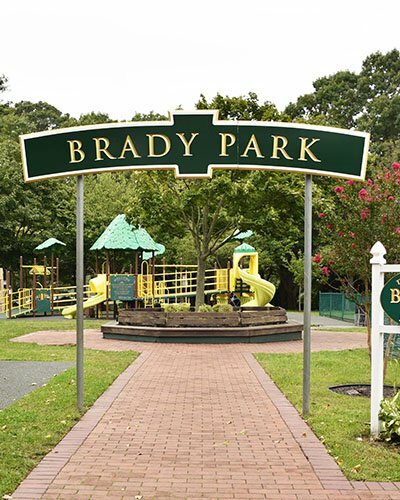 The Village’s most active park, it contains a tournament-grade Little League baseball field, a children’s playground, basketball, bocci, shuffleboard and horseshoe courts, and the Community Center (used by senior citizens and other programs). Three beautiful picnic areas overlook the trout-stocked lake in adjoining Massapequa State Park Preserve. The main picnic area has a covered barbeque area with grills. It is used by many community organizations and families for group picnics. The park also has a veterans memorial and a concrete platform that serves as a stage for the Village’s special events. 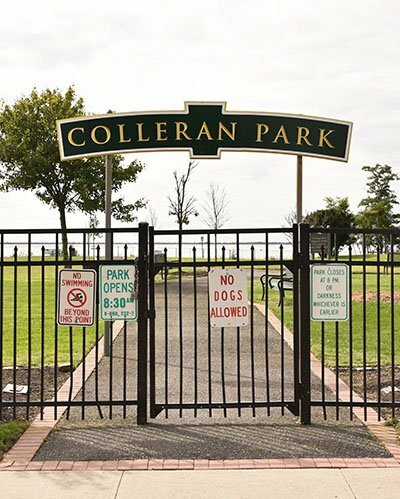 Colleran Park is at the southern tip of the Village in Bar Harbour at the end of Whitewood Drive. It is a passive park designed for quiet relaxation with an extensive view of Great South Bay. A modern “tot lot” completes the park’s facilities. Mansfield Park is at the northern part of the Village west of Lake Shore Drive at Walker Street. It contains baseball diamonds and two football/soccer fields. The Massapequa State Park bicycle and jogging path goes through Mansfield Park as does a meandering stream. Motorized vehicles are prohibited and the natural setting provides residents with a peaceful sanctuary from the stress of daily living. All Village parks are closed at 8 p.m. or dusk, whichever is earlier. Anyone in the park after that hour without a permit or the park attendant’s permission is liable to arrest and a fine up to $100. Also available to Village residents are the Town facilities at John Burns Park on Merrick Road. In addition to fields for organized sports, there are tennis and handball courts. Amateur adult baseball is a summer feature at Burns Park, as are visits by County and Town mobile units that feature concerts, shows and other entertainment. Marjorie Post Park at Merrick and Unqua Roads is part of the Town park system. There is a swimming pool complex available to Village residents for an annual fee. There are tennis and handball courts, a picnic area and a community room. There also is an ice skating rink. The Village conducts a series of events for its residents. 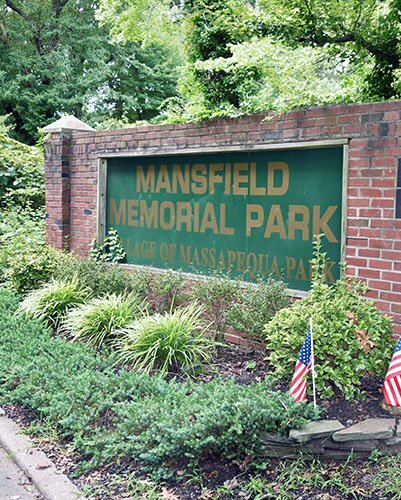 A Memorial Day parade, an Independence Day weekend, Earth Day, Street Fair, Breakfast in the Park, and other observances all add to the very special quality of life in Massapequa Park. Each Spring the Village is a leading participant in the “Massapequa Cares” Day, a program of entertainment, gifts and refreshments for the veterans at the Veterans Administration Hospital in Northport. In addition to these, local organizations conduct special events, such as the ‘Irish Night’ conducted in July by the Ancient Order of Hibernians and the Halloween Parade organized by the Knights of Columbus. Residents of the Village may use Town of Oyster Bay beaches including TOBAY beach adjacent to Jones Beach. Permits may be purchased either at the beach, at Town Hall South on Hicksville Road in Massapequa or at John J. Burns Park during available hours.. Special senior passes are available. Local streams offer fishing, and State DEC licenses may be obtained at Village Hall. The local Kiwanis Club has built and maintains a Fishing Bridge just north of Clark Blvd. where it passes from the Village into Massapequa. The Massapequas also offer the finest in supervised athletic programs for children in baseball, basketball, lacrosse, football, rifle, soccer and other sports. The Massapequa Police Athletic Club, Massapequa Park Road Runners and Bike Club have programs for children and adults.